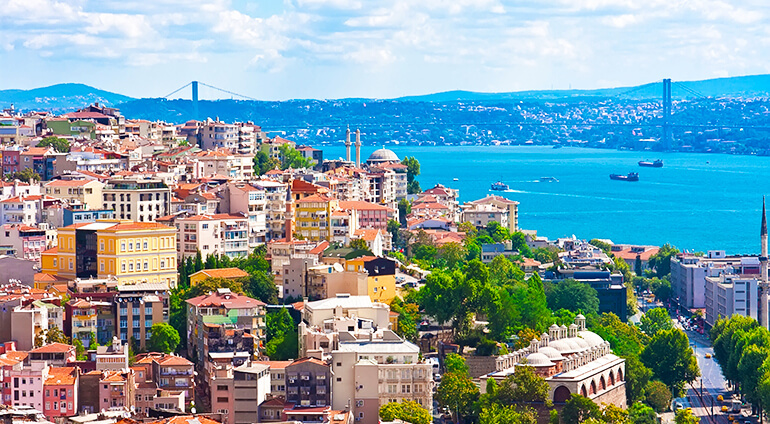 The months of July and August are a great time to visit Istanbul, as many locals head on their holiday, making the city less crowded. Yet temperatures are also at their highest during these months, perfect for those hoping to take advantage of the al fresco dining and rooftop bars. During the months of June, July and August Istanbul experiences highs of 26-28 degrees, dropping to 17-19 degrees at night. While temperatures remain quite high in September, topping 25 degrees, October and November become much cooler, with average temperatures of just 16 and 12 degrees respectively. There’s also often a dramatic increase in rainfall during November heading into winter. During the winter months of December, January and February, Istanbul experiences average temperatures of 6 to 8 degrees and lows of 3 to 6 degrees, as well as an increased chance of rainfall.